Sorry, you need to be a member to access this page. But it is free to join, so just hit the 'Register Here' button to join. 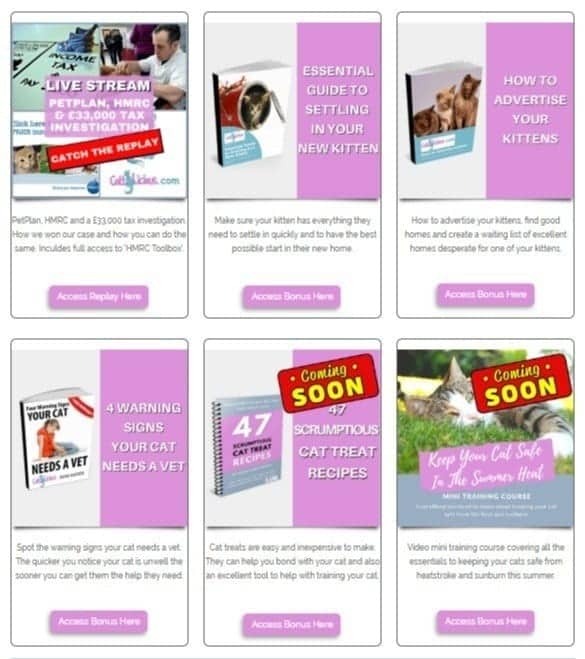 You will find guides, videos, mini training courses that will help you as a cat owner and as a breeder (if that applies) to keep your cats happy and healthy. This section is updated regularly with fresh content and is a members only section. Below is a screen shot of some of the resources you will find in the members area. If you want to access the free membership area and take advantage of the different resources added regularly then use the 'Register Here' button bellow.